Iranian scientists at the University of Tehran have built an anti-pollution mask with an efficiency of 99%. According to a Farsi report by ISNA, Iranian researchers at the University of Tehran’s Science and Technology Park developed a purifying anti-pollution mask, made of nanomaterial and active carbon, which absorbs the dust and toxic gas emissions with an efficiency ratio of 99%. “The best respiratory masks in Iran hadn’t been more efficient than 98%,” said Mohammad-Mahdi Shirmohammadi, the executive manager of the project. He explained that this mask helps the users breathe easily thanks to its structure; plus, it is able to filter the toxic emissions and polluting gases in a high rate. 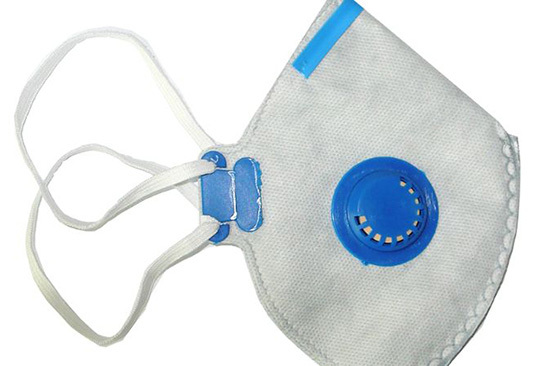 “This product is able to protect the users against chemical gases such as CO and CO2,” he added, noting that the mask filter can be also used in car cabins and house air conditioners, as well as in professions with acutely polluted environment such as cement, steel and petrochemical industries. “These masks are already being exported to Iraq and Persian Gulf countries,” Shirmohammadi announced, mentioning that 7,000 masks are produced a day now; a number that will increase to 20,000 based on the production plan.